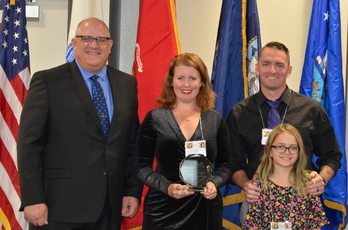 The Wisconsin Department of Veterans Affairs (WDVA) is pleased to announce that US Marine Corps Veteran Kimberly Graff, Milton, has been named the 2018 Wisconsin Woman Veteran of the Year. WDVA Secretary Daniel J. Zimmerman presented the award to Graff at the Wisconsin Conference on Veterans Issue in Appleton on Monday, September 24, 2018. Wisconsin's manufacturing industry employs more than 466,000 Wisconsinites, accounts for 18 percent of gross domestic product, and contributes over $59 billion to Wisconsin’s economic growth. WDVA Secretary Zimmerman took part in a Manufacturing Month video to discuss the many opportunities for Veterans in the manufacturing industry. Wisconsin has invested heavily in programs that connect job seekers to employment in the Wisconsin manufacturing sector, or training programs that lead to good-paying jobs in manufacturing. Watch the video and hear from Secretary Zimmerman, Rockwell Automation's Joe Allie and United States Air Force Veteran Erik Nordstrom - a graduate of the Academy of Advanced Manufacturing - about why Wisconsin is the best place for Veterans to start a career in manufacturing. A huge thank you to all who came out and joined us for our 2018 Wisconsin Conference Veterans Issues at Fox Valley Technical College in Appleton. It was overwhelming success! A special thanks to those who were speakers, panelists, participants in our interactive breakout groups and also to the Fox Valley Veterans Council, Inc. Without all of the incredible participation and collaboration, our success would be unattainable. Photos from the conference can be viewed here. We’re already looking forward to next year’s conference! Registration is now open for the 2018 Governor’s Small Business Summit! Don't miss this opportunity meet with some of the “movers and shakers” in Wisconsin business today! Hear how great strides in Wisconsin education opportunities are preparing the next generation of workers to be ready for employment in your industry or business. 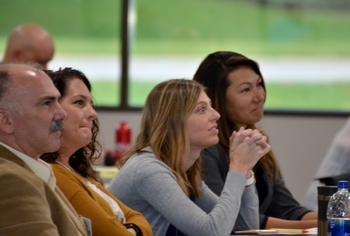 Learn how innovative state programs can assist in taking your business to the next level. Enjoy networking with other small business developers while sampling some great Wisconsin products. Wisconsin has earned a distinguished reputation nationally for instituting programs and services that meet the needs of our residents who served in the U.S. armed forces and their families. The Wisconsin Department of Veterans Affairs excels in providing modern tools to our nation’s heroes so that Veterans are able to reintegrate into civilian society with housing, education, health care and meaningful jobs. The Fast Facts 2018 shares with you the work we do on behalf of Wisconsin’s Veterans community — Veterans, their families and their survivors — in recognition of their service and sacrifice to our state and nation. Take a look!